۱ Snow is plowed behind a jogger running on the Washington Monument grounds in Washington. Snow fell in parts of the Mid-Atlantic and Northeast as winter-weary motorists faced another potentially treacherous commute, just days before the start of spring. 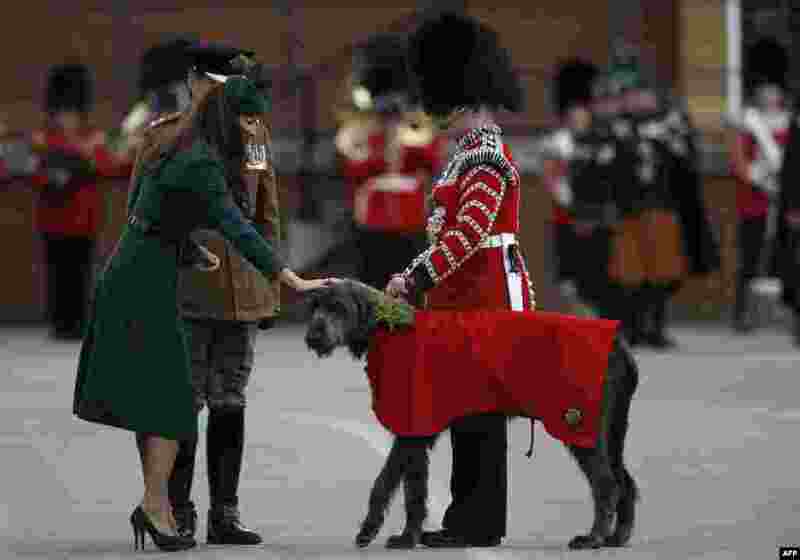 ۲ Britain's Catherine, Duchess of Cambridge (L) strokes the regimental mascot Irish Wolf Hound dog as she attends St Patrick's Day parade with the 1st Battalion Irish Guards in Mons Barracks in Aldershot. 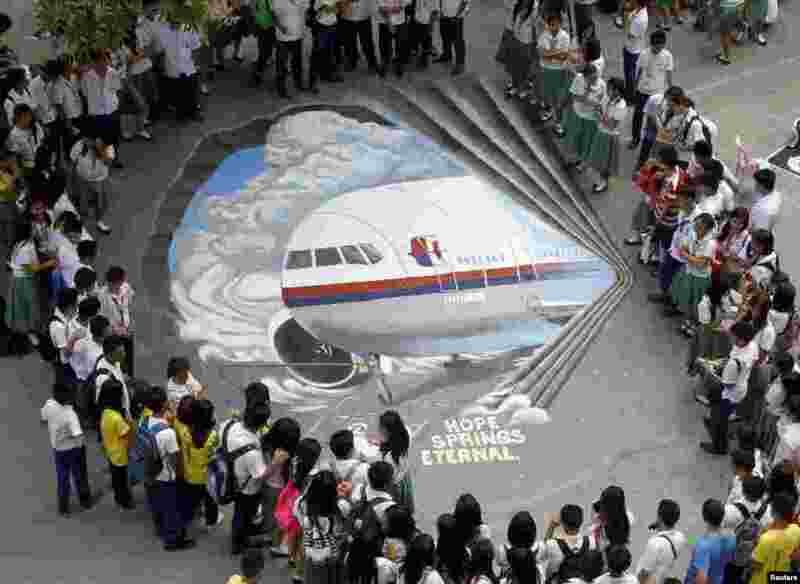 ۳ Students gather around a three dimensional artwork, based on the missing Malaysia Airlines flight MH370, that was painted on a school ground in Makati city, metro Manila, Philippines. 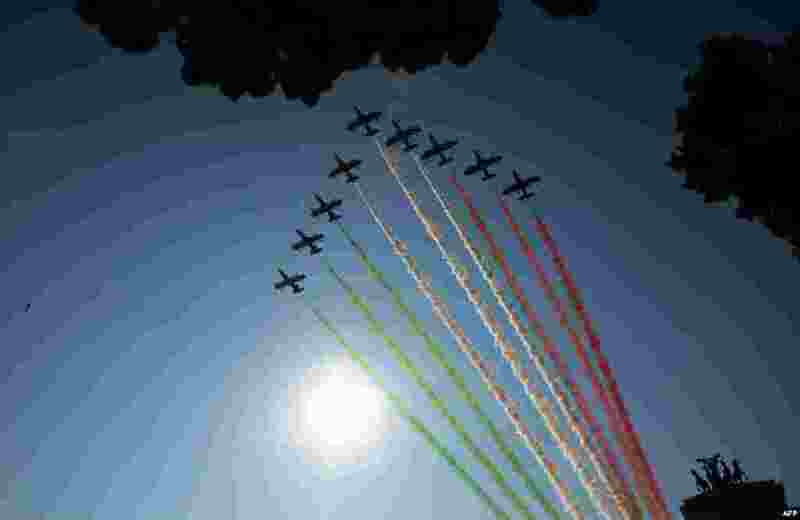 ۴ Green, white and red smoke in the colours of the Italian flag are left in the sky of Rome by the Italian Air Force aerobatic unit 'Frecce Tricolori' marking the anniversary of Italian national unification in Rome. 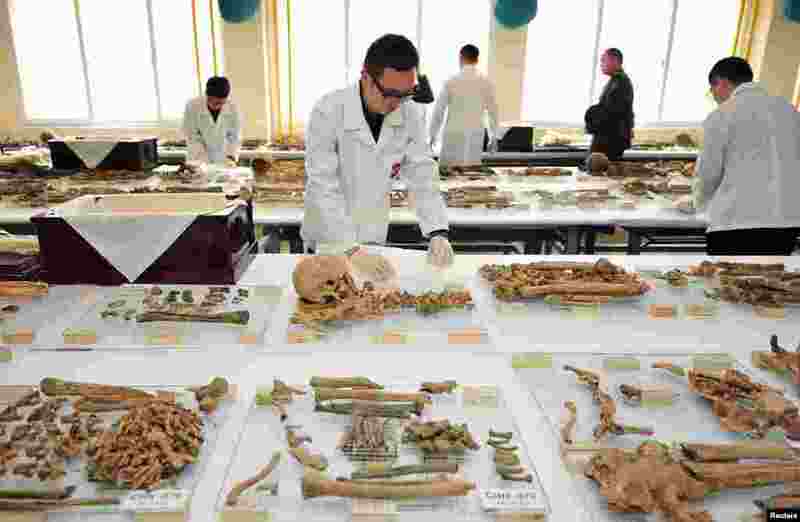 ۵ South Korean soldiers wrap the remains of Chinese soldiers during rites of placing them in coffins at a South Korean Army base in Paju, north of Seoul. 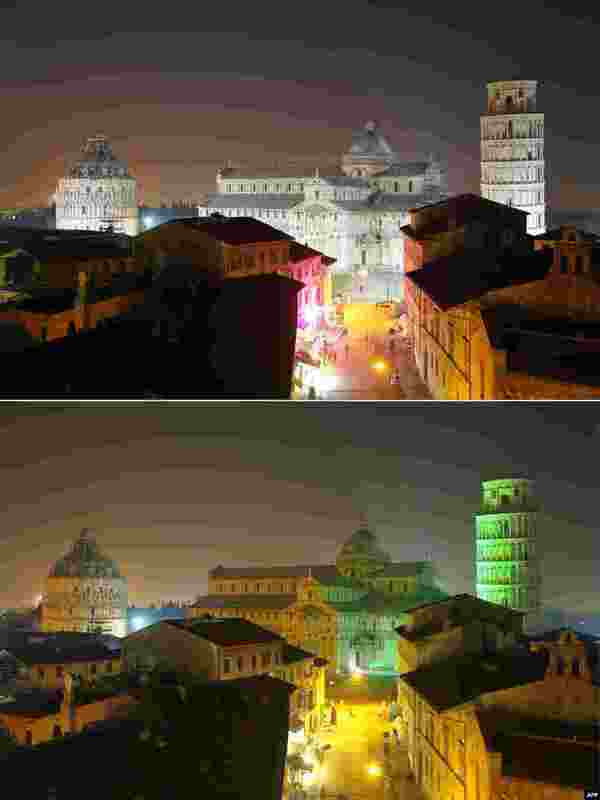 ۶ A combination of two pictures shows the leaning tower of Pisa at night (top) and the leaning tower of Pisa colored in green to celebrate Ireland’s national holiday on the eve of the St Patrick’s Day, March 16, 2014. ۷ A girl looks at planes through the window of the departure hall at the Kuala Lumpur International Airport, Malaysia. 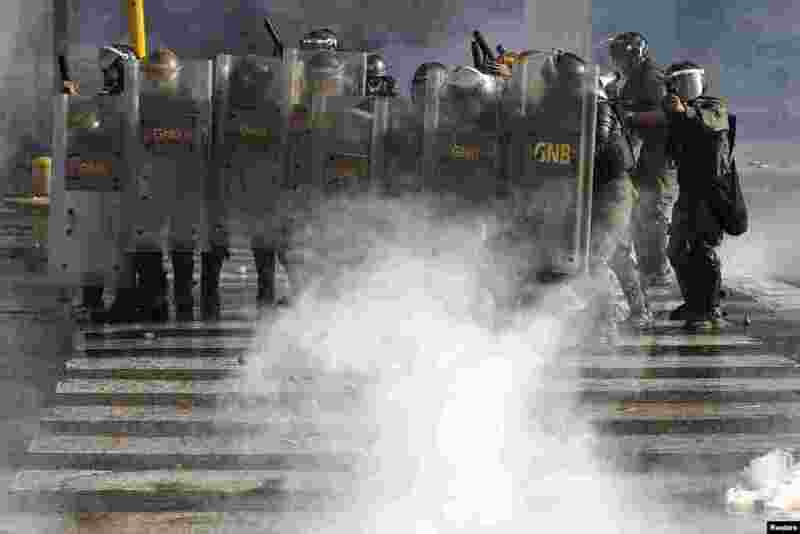 ۸ National Guards advance on anti-government protesters during clashes with police at Altamira square in Caracas. Opponents of Venezuela's socialist government marched to protest against alleged Cuban interference in the armed forces, with clashes breaking out afterwards in a Caracas square, March 16, 2014.